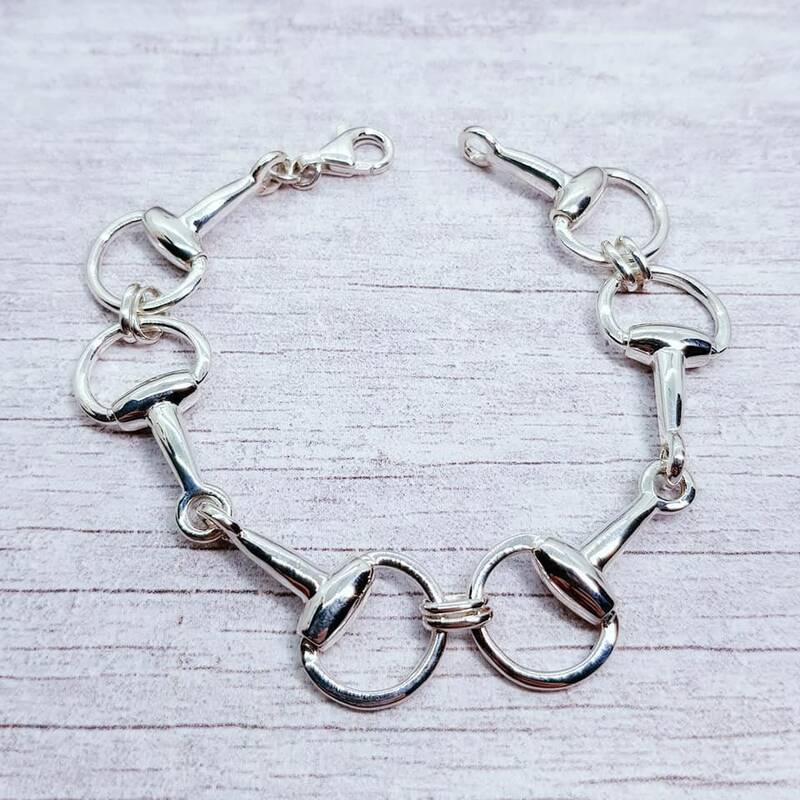 We are very excited about this stunning Double Jointed Snaffle Bit Bangle in Sterling Silver. 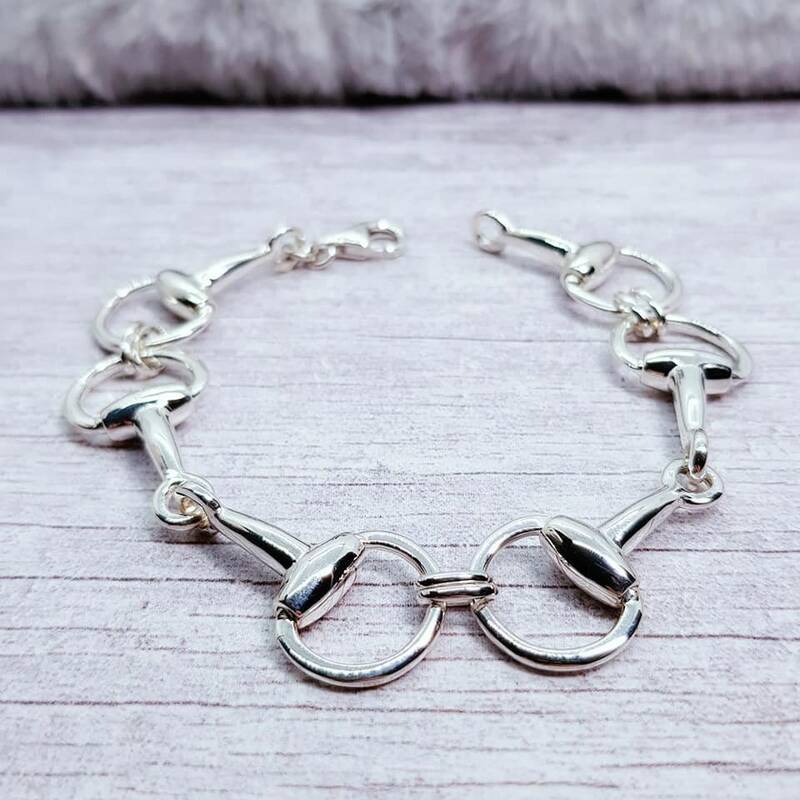 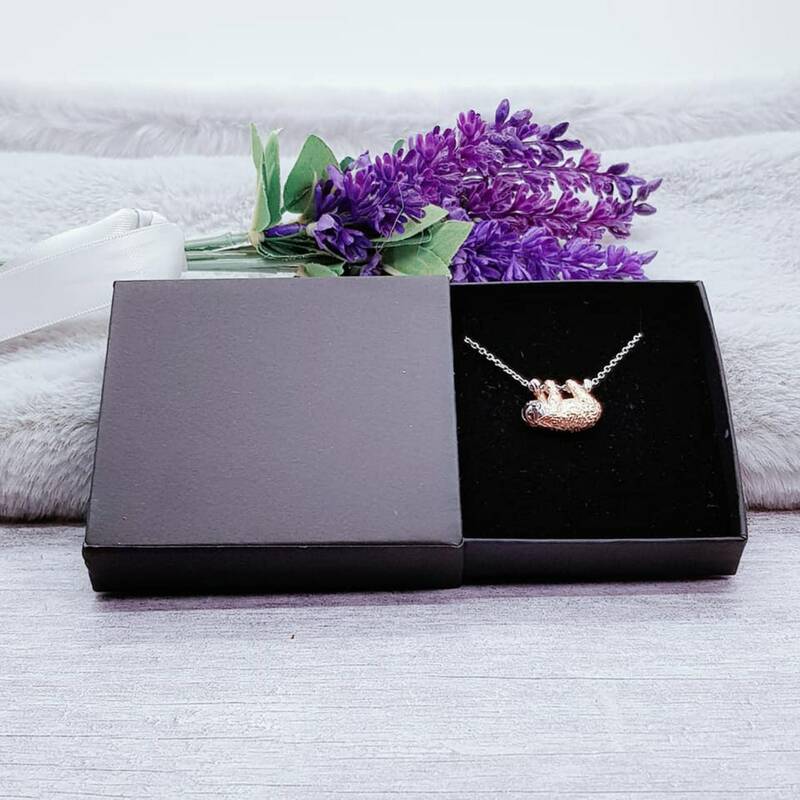 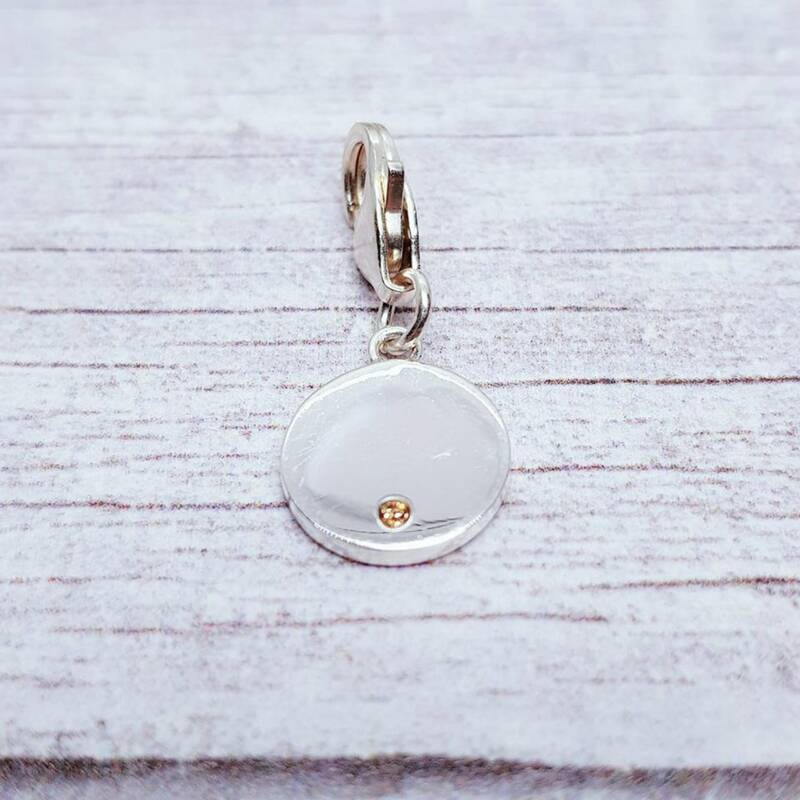 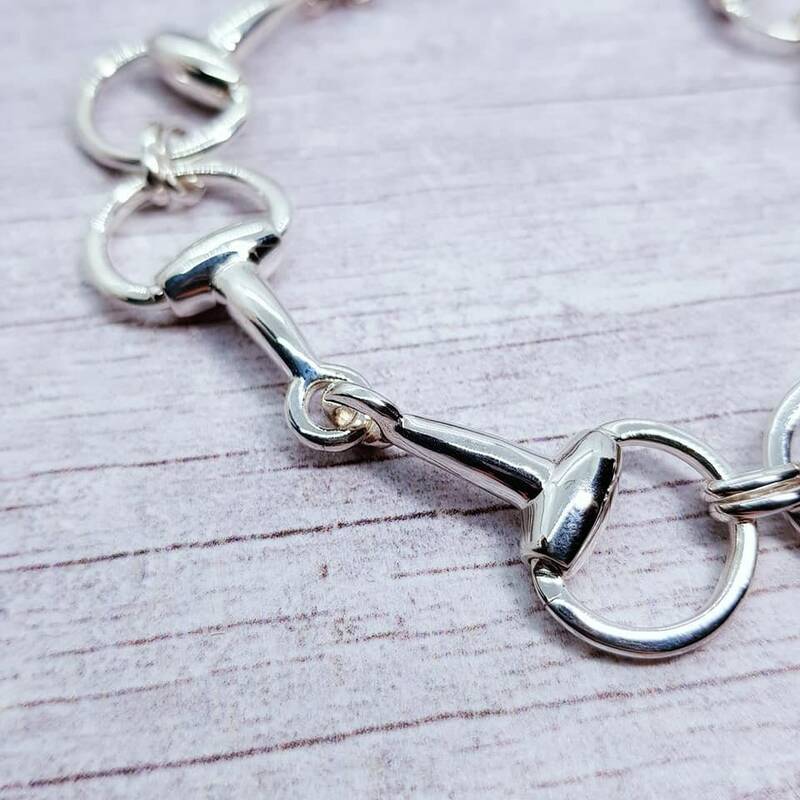 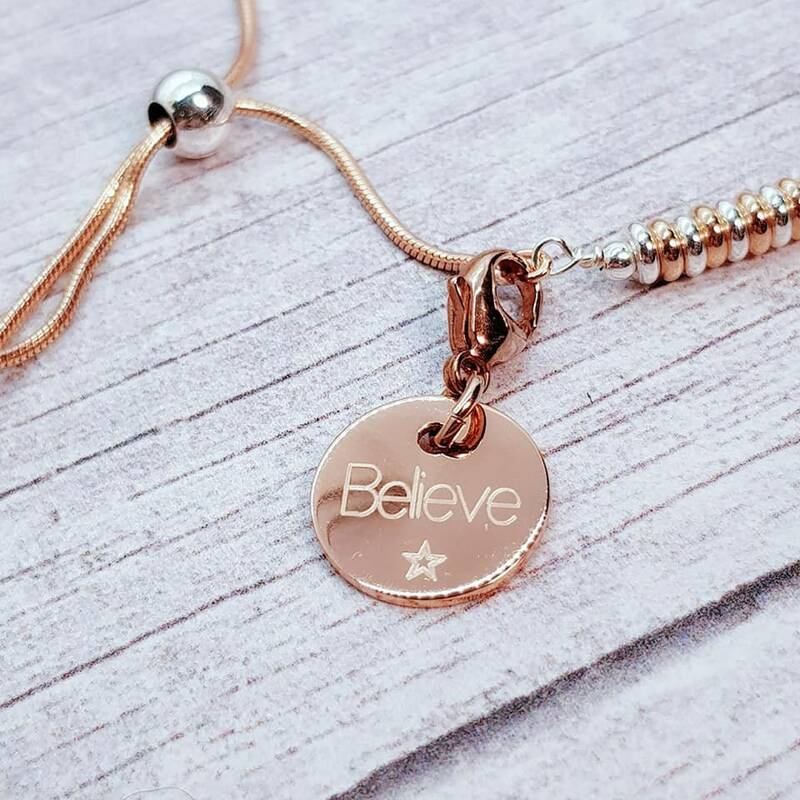 Stunning design capturing the curves and angles of the Snaffle bit in this stunning piece of equestrian jewellery with a fabulous T Bar style clasp. 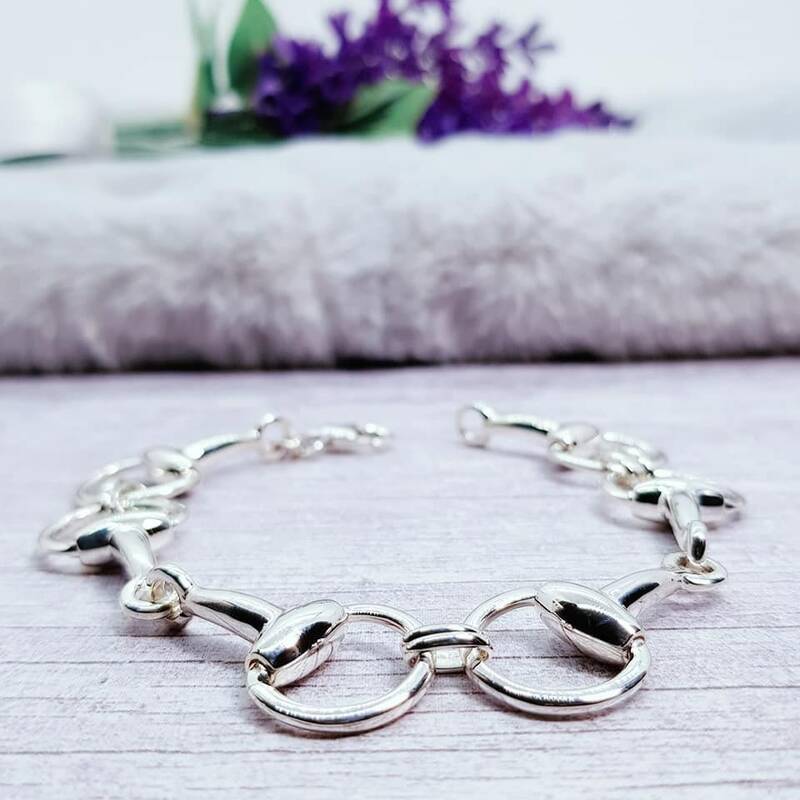 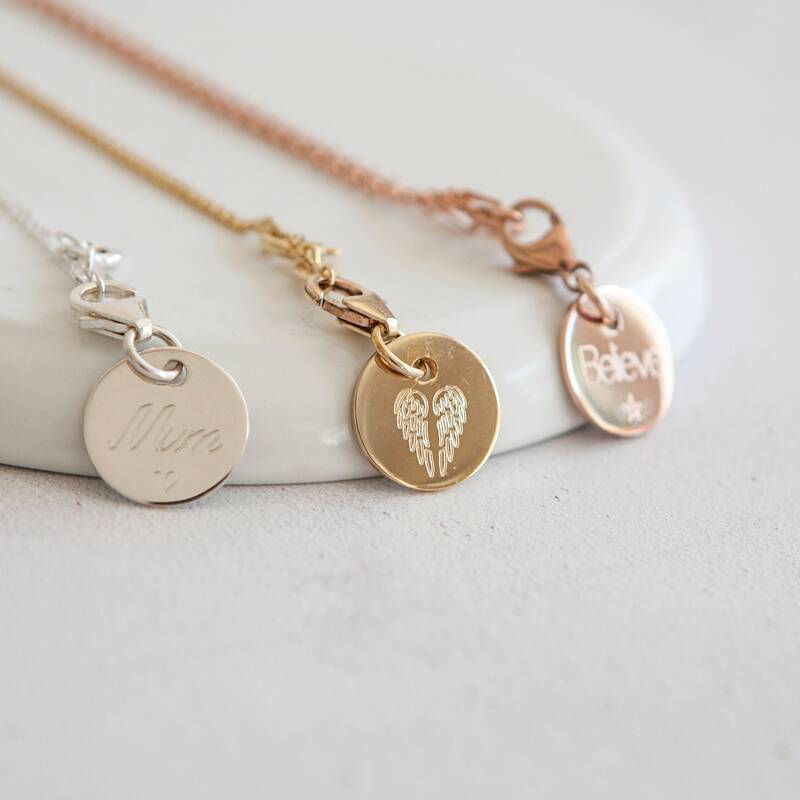 This is an amazing mediumweight bracelet.